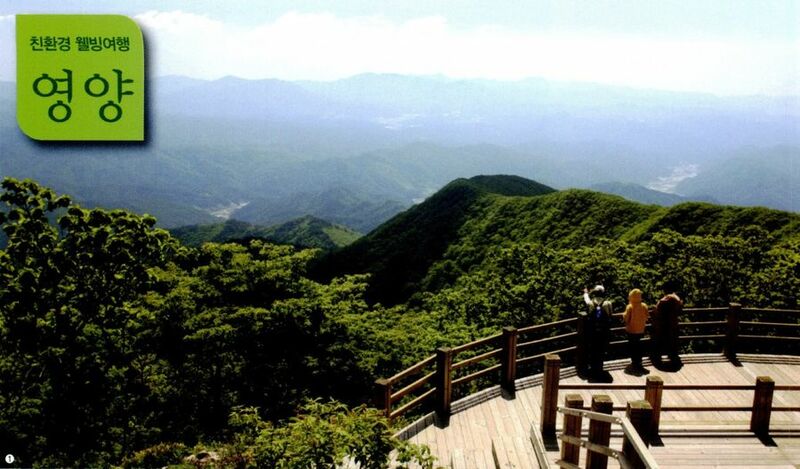 It is located in intermount basin, and its altitude is the highest in Gyeongsangbuk-do. It is famous for beautiful mountain, clean water and kind people. It has a lot of historic sites and beautiful natural landscape. Yeongyang has produced a number of patriotic martyrs and writers. The literature theme course of the region includes literary house and birthplace of poet Cho Chi-hun, and Gwangsan literary house and the birthplace of novelist Yi Munyol. The regional products are Yeongyang red pepper, Chohwaju, gastrodia and Irwolsan mountain wild edible greens. 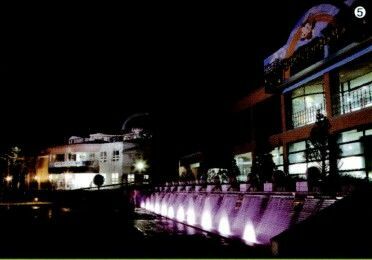 There are Seonbawi rock tourism area, the museum of mountain village life, Irwolsan mountain, wild flower park, Suha valley and Geommasan Natural Recreation Forest. Moreover, there are firefly ecology park and ecology school that was firstly registered to exclusive zone in Gyeongsangbuk-do. So the region has made a meteoric rise as the ecology tourist attraction. Yeongyang Seoseokjji is the representative pond of the garden of private house in the Joseon dynasty period, and it is close to Seonbawi rock tourism area. 400 years old ginkgo tree at the stone wall next to the entrance of the park welcomes tourists. High stone walls and the valley have made Namipo port. 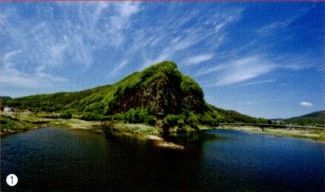 Seonbawi rock is located between the stone walls and the velley. The stone walls and the mountain are extraordinary. The legend says the general Nami defeated the people who planned conspiracy in the region. Seonbawi rock and Namipo port look like a piece of the picture. 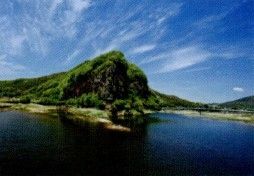 Many people exclaim the beautiful scenery of the stone walls of Namipo port and its reflection. Moreover, there are bonsai viewing stone exhibition hall and promotion galley of Yeongyang red pepper. In particular, 130 bonsai and various wild flowers are exhibited in bonsai viewing stone exhibition hall including 500 year old pine tree, 450 years old yew, red pine tree, Haesong and maple tree. In addition, it exhibits 30 Pokposeok in Yeongyang. The general Nami trail has been being constructed recently. Freshwater Fish Museum and the museum of mountain village life are popular tourist attractions. 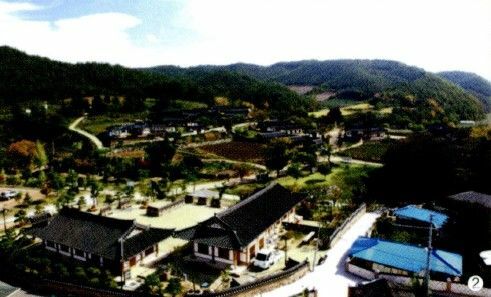 Seoseokjji has been selected to one of three major Korean parks along with Booyongwon in Wando, Jeollanam-do and Soswaewon garden in Damyang, Jeollanam-do. It is elegant and awesome. Not only that, Seoseokjji is precious material for landscape architect study of Korea. 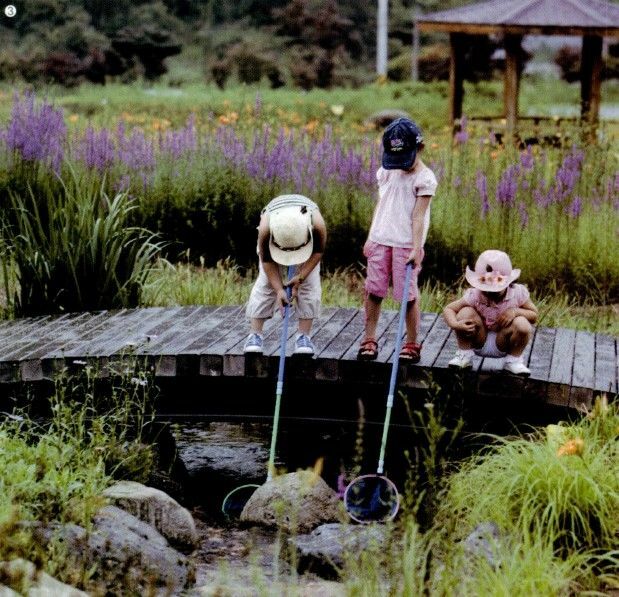 The shape of Seoseokgun is different from the water level of the pond. 60 rocks come into view over the pond, and 30 rocks are submerged under the water. Seockmun Jeongyeongbang, the owner of the pond, named the stones, including his Confucian concept and Taoistic desire. The ancestors of Korea hopes the unity of human and the nature. Kyeong jeong is located between Seoseokjji, and Juiljae is located on the left side of the front gate. The owner of the pond tried to think of fidelity of classical scholars by building Saudan around Seoseokjji, and planting pine tree, bamboo, apricot tree and chrysanthemum. 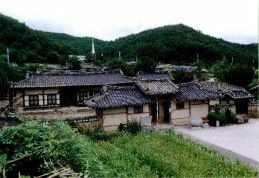 You can overlook the old houses of the village beyond the low wall over Seoseokjji. The garden is separated into inside and outside. The artificial inside garden was the place for meditation and reading. Outside garden was made to use the nature as a garden. Beautiful folding screen rocks are located in front of the outside garden. I can understand the life of ancestors who dreamed of being content amid poverty and taking pleasure in acting in an honest way. You can realize the dream in Seoseokjji. Yeongyang has produced a number of renown poets and writers. Poet Cho Chi-hun and novelist Yi Munyol were born in the region. Yeongyang has produced a number of renown poets and writers. Poet Cho Chi-hun and novelist Yi Munyol were born in the region. You can visit Jusil village after driving No. 31 national highway and No. 918 local road. 60 houses gather in the village. Old houses look elegant and antique. Besides the birthplace of Cho Chi-hun, there are a number of cultural resources like Okcheon head house and Woelrok village school. Hoeun head house, which is located in the middle of the village, is the birthplace of Cho Chi-hun. (No. 78 monument of Gyeongsangbuk-do) It was destroyed in Korean war, but restored in 1963, five years before Cho Chi-hun was dead. The house with 7 rooms is the typical house of the region. There is a detached house that looks like a pavilion in front of the house. You can see the life of Cho Chi-hun in Chi-hun literary house and Chi-hun park. Doodle village in Wolli-ri, Seokbo-myeon is the region of Jaeryeong Lee family including Lee Si-myeong. Along with Seokgye old house, No. 91 folk material of Gyeongsangbuk-do, 30 traditional houses including Seokcheon village school have been well preserved. The lovers of literature have visited the birthplace of novelist Yi Munyol. 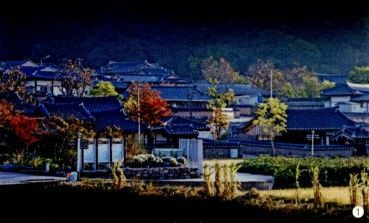 The lady Jang, the painter and the scholar in the middle of the Joseon Dynasty, lived Seokgye old house. She has been respected as the great mother since she showed a mirror of the education of her children. She wrote “Gyugon siuibang”, the first Korean cook book. Her relics like “Jeongabocheop” and “Hakppalcheop” have been passed down. Traditional houses in the village is beautiful, but Gwangsang literary laboratory is extraordinary. In the laboratory, there are wide main floored room, the main building, detached house, pavilion, Hakssachae and auditorium. Various cultural events like literary seminar of Yi Munyol are held, so many people visit the region. Yeongyang, the repository of rare animals and plants, is the huge eco-galley. It is located in clean alpine region. It is the best place for modern people to take a rest. 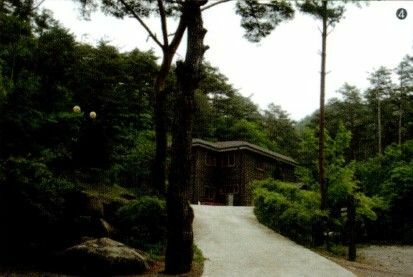 Geumgang pine trees of the forest lodge puff out phytoncide. It is good for deodorization, sterilization and insecticide. It also promotes refresh feeling and level of immunity. You can take care of room and board in forest culture recreation center. It is the best place for families and teenagers to cultivate their body and mind since it is equipped with wild plants observation center, permanent accommodation, camp ground and trail. In Irwolsan mountain, which has beautiful landscape and clean water all the year around, you can look around rare plants and wild flowers like Twilight lily and pasqueflower. 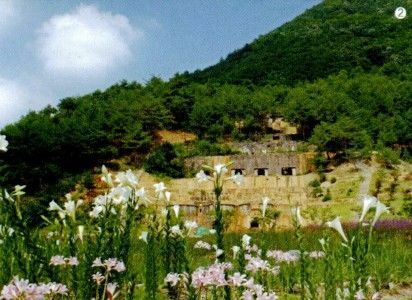 The wild flower park, which is the largest in Korea, was cleaned and has wild flowers like lyreflower, Siberian chrysanthemum, day lily and Montane aster. Rest area and various amenities are convenient. 11,000 local woody plants like pine tree, zelkova and winged euonymus have been planted. The park is equipped with beautiful artificial pond with water lily, Russian iris and iris, so it is good to observe marshy vegetation. Jipene village has Suha velley flowing clean water. It is one of the clean areas in Korea, so you can see firefly in the region. Moreover, it is the repository of snail, Cipangopaludina chinensis malleata and semisulcospira coreana. It is the best place to take a rest and study ecology as it has ecology park, ecology school and firefly observatory. The abolished school has been restored to ecology school. It is equipped with galley, experience center, ecology exhibition hall, laboratory, insects gallery, wild flower garden and self-purification pond. The second 33.5 km small shapely socks road in Yeongyang was created in October, 2011. The first spontaneous cure road(8.3km, 3~4 hours), which was built in 2010, reaches from wild flower park in Irwolsan mountain to Uryeonjeon. Damaged national highway and military road in Irwolsan mountain have been restored to spontaneous cure road. You can look around mine in Japanese colonial era and beautiful woodland path along Banbyeoncheon valley in Irwolsan mountain park. Wood chair is located next to the signpost “Yeongyang 28”. There are red and pistachio mailbox in “Jindeung”. Take out a postcard from the red mailbox, write “the letter to myself” and put it in pistachio mailbox. You can receive the postcard a year after. The second road of the poet O Il-do (4~5hours, 11.5km Seonbawi Rock~Yeongyang traditional market) and literature road of Cho Chi-hun(5~6hours, 13.7km, Yeongyang traditional marke~Chi-hun literary center) were constructed in October, 2011. Not only walking the trail, but also you can feel the pain of Korean history and the expressions of poets. Modern people would learn lesson from the historical site. In the road of the poet O Il-do, you can feel the style of O Il-do who freely expressed his feeling. 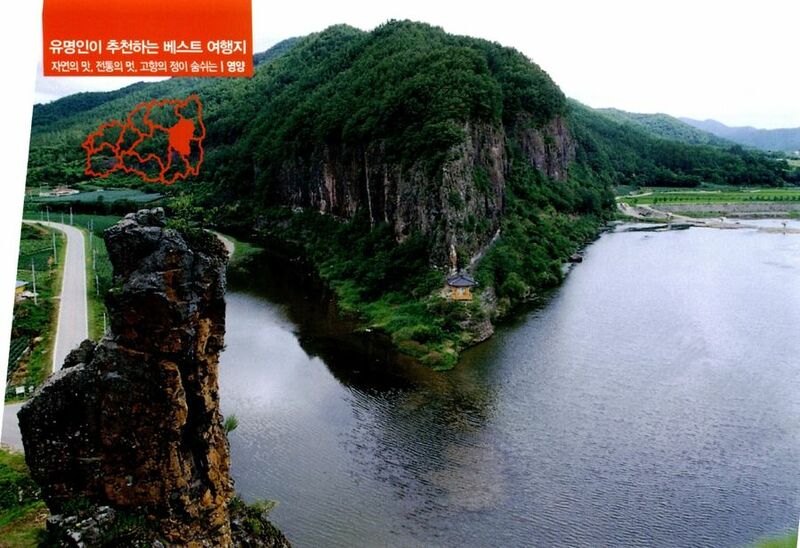 Moreover, you can enjoy beautiful landscape of the mountain in Yeongyang while walking literature road of Cho Chi-hun. Pine fragrance is well matched with the style of the poet.